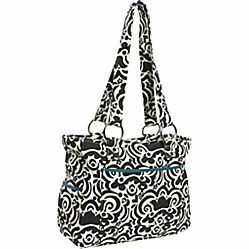 I recently won this stylish diaper bag on www.shortpumppreppyreviews.com.? I had no idea that this bag would be so awesome.!? It definitely doesn’t look like the USUAL diaper bag! Trista Baby is the name of the company that produces these bags.? Trista Sutter, formerly of The Bachelorette, has created an exclusive line of Eco-Conscious Diaper Bags. They offer a new perspective on style for the sophisticated mother. ? Trista Baby is dedicated to the design of show-stopping diaper bags that function beyond expectation and delight even the toughest fashion critic. Whimsical one-of-a-kind prints meet custom detailing with a touch of charm and a dash of flair. A true original, every Trista Baby product is eco-conscious and made in America using certified organic materials. Beautifully designed, thoughtfully crafted and eco-conscious. Check me out with my new FAVORITE diaper bag! The cool part is not only the great fabric design, but also the storage & compartments!? The inside of the bag is lined with a beautiful aqua colored satin fabric and it has 6 inner pockets for things like diapers, wipes, and whatever else us mamas need.? The bag also has 4 outer pockets.? The zippered one is great for my keys and cellphone. 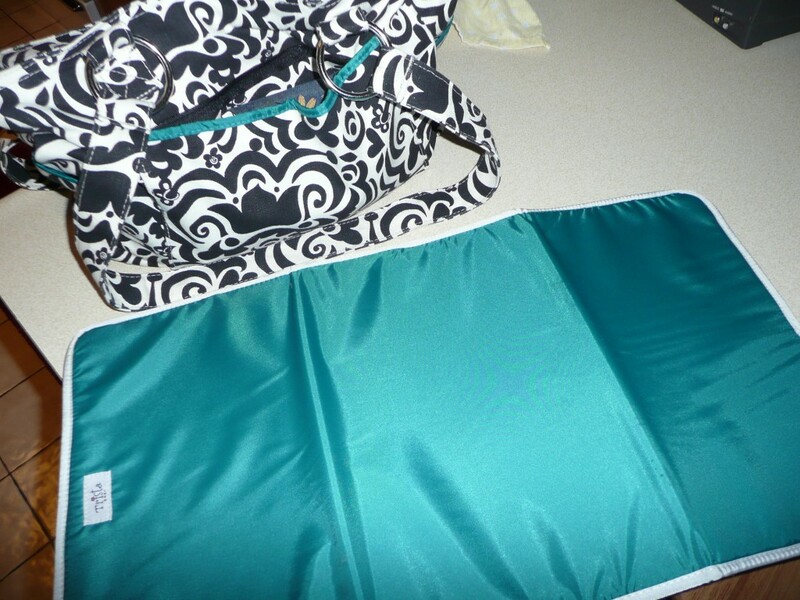 The bag also comes with a matching heavy duty (washable) changing pad – How cool is that? This bag is sooooo worth the money!? It usually sells for $145.00. but it is now on sale on Ebags.com for only $79.99.? You can pick from a few different fabulous colors and patterns. That bag looks perfect! I am due at the end of June and need a new one… may check out the site and get one while they are on sale. Now that is pretty! I love the style! Thanks for commenting on my “Fear of Flying” post. I have been more nervous since 9/11 as well. Think that’s why the fear has taken over me! I love this diaper bag – so stylish and roomy! 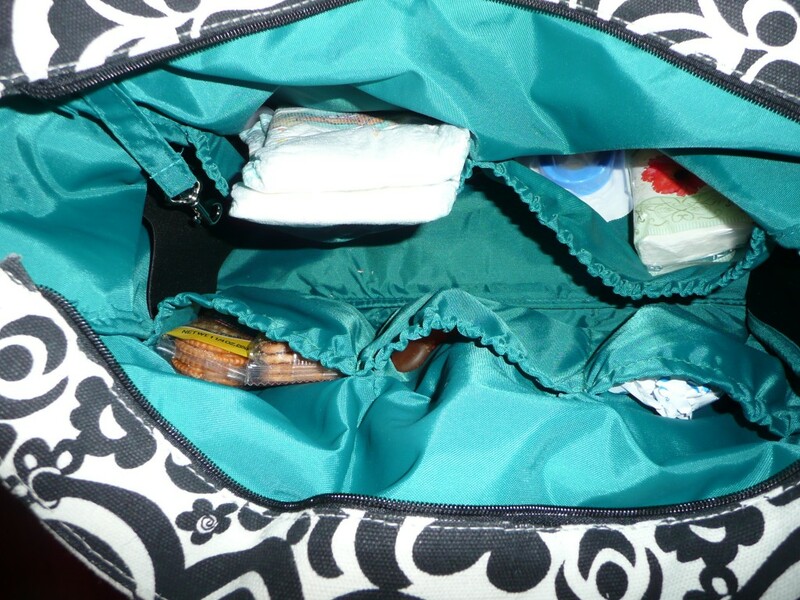 With 2 in diapers I need a roomy bag! I love the style and the style and the print. Very cute. What a pretty, stylish bag! You’re so lucky to have it. Congrats!